Snowvillage Inn Snowshoeing Center has acres of beautiful snowshoeing trails that we would love to share with you. Our trails meander through our serene property offering many majestic views of Mount Washington and it’s Presidential Mountain Range. 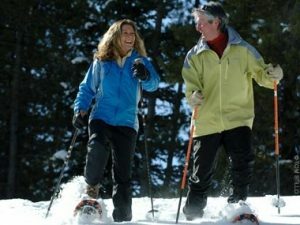 Come make a weekend of it, we offer a snowshoeing lodging package that will convince an expert or a novice that the relaxing romantic getaway is here. 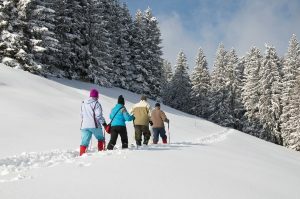 Whether you are just curious about snowshoeing and just want to get outside to enjoy the views or you are an avid snowshoer whose looking for a more challenging outing, we have the romantic getaway package you are looking for. 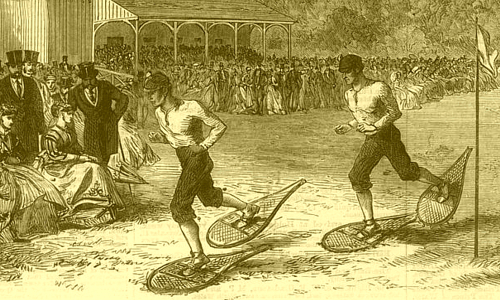 Snowshoes have been in use for 6000 years and were one of the earliest forms of transportation. Anyone can snowshoe—It is as simple as walking. Snowshoes are easy to put on and take off, just like putting on another pair of shoes. Snowshoeing requires modest physical effort with no fancy techniques or theories to learn. A beginner’s learning curve is immediate. Snowshoes are highly maneuverable so, outdoor enthusiasts can go where cross country skiers and snowmobiles cannot. Snowshoeing offers participants the peaceful, quiet serenity of a snow-covered landscape –a great activity for the body and soul. 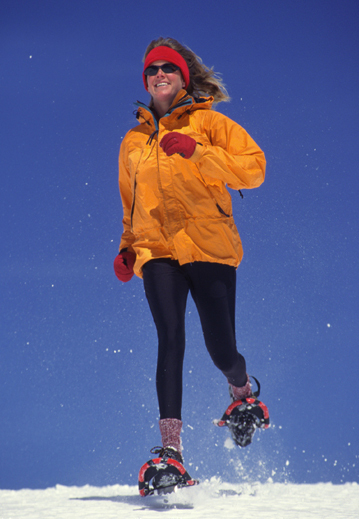 The benefits of snowshoeing include exercise, fitness and social/adventure aspects. Want to know how many calories are burned when walking and hiking? Let’s just say that both are fantastic ways to spend an hour or more of your time. You can enjoy the fresh air, nature, our beautiful scenery, and burn more calories than in most other activities! When you snowshoe, you can burn up to 45% more calories than walking or running at the same speed. Several factors contribute to this increase. First, exercising in cold weather increases your metabolic rate. Second, you are walking with added weight on your feet- providing the same effect as wearing ankle weights. And there is the added resistance of moving through snow. Snowshoeing can accommodate a variety of activities—a casual hike in the woods, an overnight backpacking trip or an alpine climb. 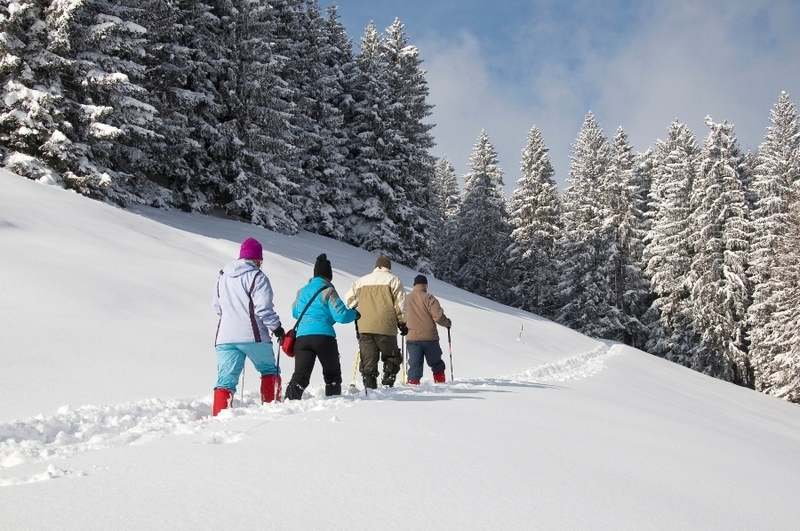 Snowshoeing is a very inexpensive way to spend time with the entire family.